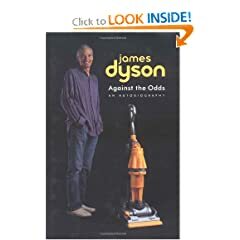 Against the Odds: An Autobiography (9781587991707): James Dyson: Books. James Dyson is an inventor and the founder of Dyson Appliances. He invented the Dual Cyclone, the countryÂ¿s biggest selling vacuum cleaner. He is also a board member of the Design Council. He lives in Malmesbury, Wiltshire. © Copyright 2002-2011 Optasia Electronics, Inc. All rights reserved.